Teachers often get confused about the difference between field trips and fieldwork. When teachers and administrators use the term field trip, they are usually referring to a trip away from their center or school, often by bus. Fieldwork refers to first-hand, direct investigation of the topic under study in a project for the purpose of observing and collecting information. Therefore, doing good project work doesn’t necessarily mean that the children go somewhere on a bus. A project can include several kinds of fieldwork experiences. For example, in a project on shoes, children might take a walk around the school to see what kinds of shoes other children and adults are wearing. They might do individual fieldwork at home, where they collect information about the kinds of shoes their family members have in their closets. How many pairs of shoes? What colors are they? How do they fasten? A field trip is not necessary to answer these kinds of questions. While a field trip to a shoe store or a shoe repair shop might be a nice addition to this project, it is not a necessity. It is important, however, that the children’s fieldwork experiences help them to answer their questions and satisfy their curiosity. Preparation is one key to successful fieldwork. This can mean preparing the children or preparing materials. 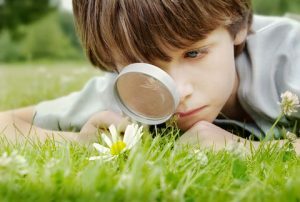 For example, children’s work is likely to be more productive if they have had the opportunity to brainstorm questions, predict what the answers might be, and to hypothesize about what they might find during their fieldwork. 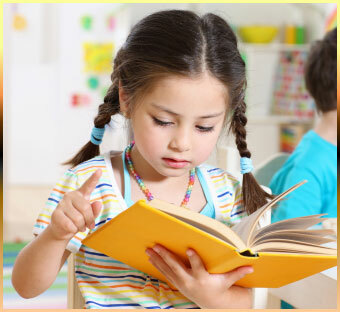 Teachers can also prepare the children by gathering materials and supplies that may be useful to the children as they collect information. 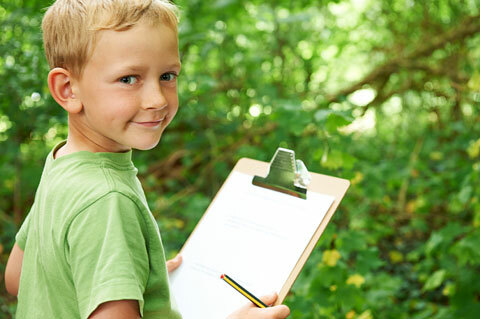 Clipboards, pens, and cameras are standard tools for fieldwork, but depending on the topic, the teacher may need to gather or prepare special supplies and materials.